The 88-key Yamaha YPG-535 Portable Grand Piano Keyboard offers you great-feeling graded soft-touch action atop a sturdy, good-looking built-in stand. Its Performance Assistance Technology ensures the Yamaha YPG-535 delivers error-free performances. And the digital piano's music database provides complete keyboard setups organized by song title. The Yamaha YPG-535's onboard song recorder is easy to use, and the sound is adjustable with 5 types of Master EQ. Stylish Yamaha design accents add an attractive touch to the digital grand piano. 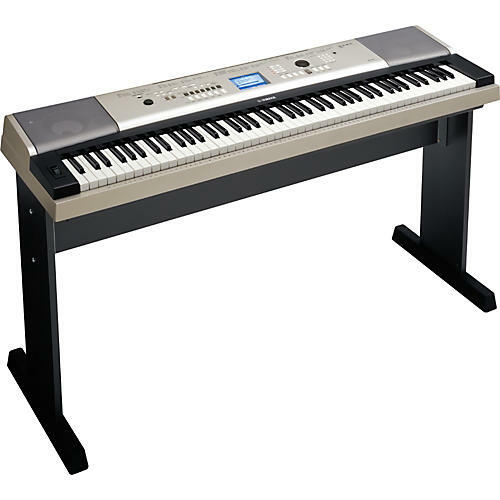 The YPG-535 also is equipped with USB connectivity, and Yamaha includes an adapter, sustain pedal, and a stand with it.